Spark Tennis – Love All. First Serve. Spark Tennis is a community of like-minded tennis players, coaches, and supporters who focus on whole-player development and having fun. We have a passion for living and making a difference through inspiring ourselves and those around us. We are driven by three simple principles — Learn, Play, Inspire — and a simple mission — Love All. First Serve. We are a friendly group that encourages and supports each other. Firstly, we are friendly to ourselves by keeping a positive attitude and positive self-talk. Since we are friendly by nature, we are nice to those around us too, allowing for a mutually beneficial environment to grow as people and tennis players. It’s true that not all players, coaches and supporters are of this like-mind; that’s their choice and would not be a good fit for Spark Tennis. Looking for skill and age appropriate tennis practice and drills for improvement? Join a Spark Tennis Small Group and experience the power of like-minds in a supportive environment for growth! Contact Coach Patrick for details. 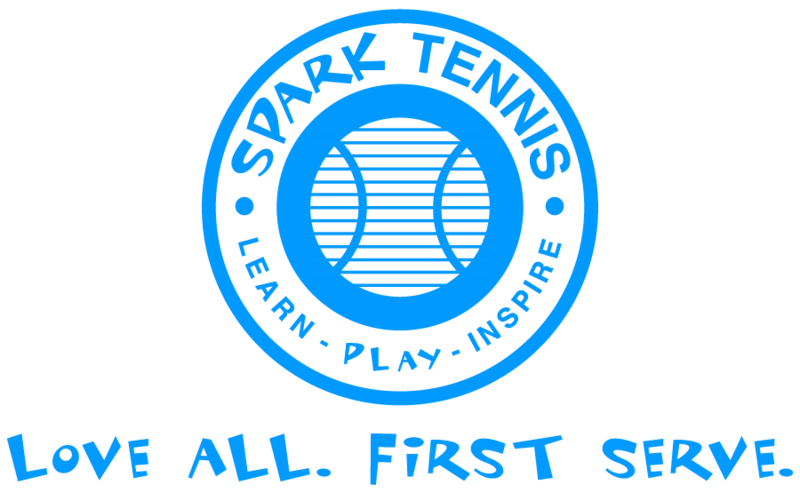 Spark Tennis is more about the overall development of players than it is about merely winning or advancing in tennis. That may seem odd at first since we gather on tennis courts, learn tennis skills and play tennis drills, but beneath it all is the dedication to growth and development of the entire person and group. We all love tennis of course and this is the best way for us to come together as a group–but on court and off, Spark players are dedicated to growth.